It’s that time of the year when you are getting ready for your early morning shopping sojourn. Before you slip into your shopping gear and start up the car, it is imperative to find out whether you have done your home work so that you are sure to get the best deals and discounts that are available. The first thing that you should do is, find out what you really need. Some shoppers are more impulsive and they will buy whatever catches their fancy and as long as they believe that they are making a good deal of savings. Others are more methodical about their approach and would like to make a shopping list in advance, so that they can focus their energy on the items that they really need. Depending upon the type of shopper you are, you make it a mix of both, making a list and then if you see something on a really good offer then buying it regardless of whether it is on the list or not. When you have a list of the items that you need, find out the stores that have put out ads for the same and compare the prices. You can also go online and check out the ads that major stores will release days before black Friday. Comparing pricing and availability will help you to zero in on the store where the best prices are expected to be received. It will also save you considerable time and energy when shopping. There are some “leak sites” which will leak out the paper ads earlier than the hard copy arrives. If you are an avid Internet user, check these out and plan accordingly. Check out the store hours before you embark on your shopping spree. Not knowing the correct store hours will create problems and confusion and one can easily lose out on the best offers. Also need to check out the exact time of the sales. While some stores will open with their “doorbuster” sales, others will start their sales several hours into the day or after the store is open. The idea is to be at the right place at the right time and take the advantages of this wonderful shopping extravaganza. 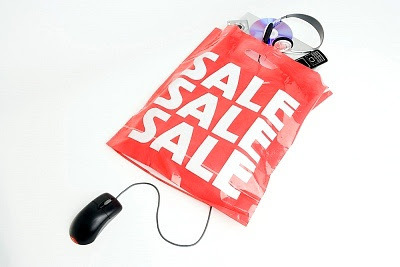 Some stores will offer early bird Internet deals, which are available only online of course. They can be ordered online and then be later picked up at the store. This is a wonderful option and some stores give good discounts for online deals. Never should one forget to collect the coupons that some stores publish prior to black Friday sales. These stores will insist that you bring along the coupons to redeem your discount or even for a free gift. Call this a customer grabbing move or ensuring more footfall than competition, but why the customer should lose out on a free gift. So bring along the coupons. Be prompt with the rebates: A lot of these deals come with a rebate. And most people forget to send in the rebates. The stores/manufacturers are counting on this forgetfulness/laziness. It is your money, be prompt and send it in as soon as you make sure what-ever-you-bought works and you won’t be returning it. Don’t wait until the expiration date.